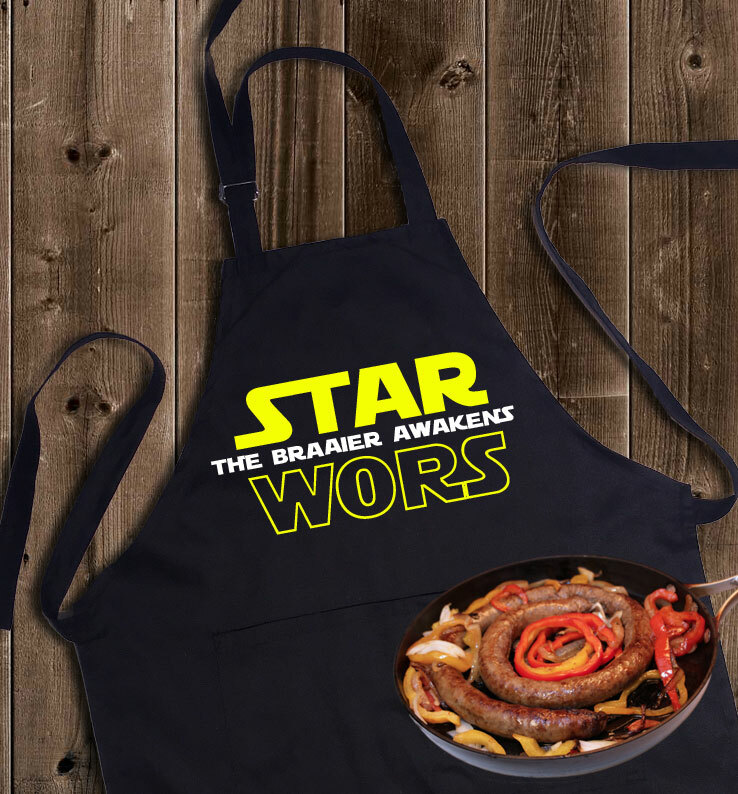 Star Wars fans and braai enthusiasts unite to form the STAR WORS Braai/Cooking apron! The chosen braaier awakens once this apron is applied and guests can be assured that the wors will be braai'd in imperial style! The apron includes two front pockets to keep your Jedi wors equipment, such as flashlights, spatulas, spices, beers or any items the forces have supplied you with, within reach. It also has an adjustable toggle around the neck to make sure it fits Jedis of all sizes.